In the most recent podcast over at EQ2 Daily, they discuss the implementation of the new Appearance tab to the character equipment window. After hitting level 20 just over the weekend and reaching 19 as a Metalsmith, I finally get to take advantage of this new and very cool toy. I was a little disappointed when I first started crafting because I didn’t actually start until I had reached Freeport and was well into the early teens. Even now with my crafting level almost equal to that of my adventuring level, I find I still don’t want to use anything that I can create. 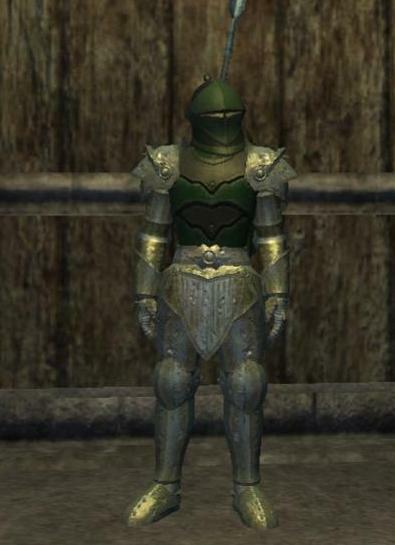 I’m looking into the Transmuting and armor add-ons that I can make now, but even with those included it still doesn’t seem a good trade off for the gear I get when doing quests. 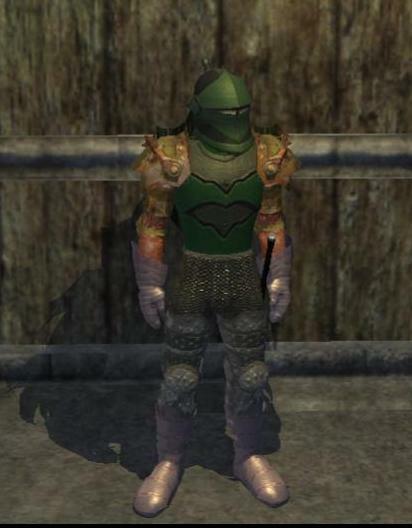 The problem with the quested gear is that if you travel around and do various quests, you begin to look like a motley equipped fool. The Appearance tab fixes all of this and I love it. The Appearance tab is an awesome addition to the game and I think SOE did it right by adding this. I hope to see this function in more games to come as I have thrown out hundreds of great looking items in other games that I would have loved to wear and show off to other people. Developers who make great models should get their chance to show off their stuff instead of being tossed in with the NPC vendor trash. Recently, I have passed a lot of people in the city who just look cool. Not because they raided hours and hours for the gear they are showing, but because they took the time and put together some great combinations of outfits. Antonia Bayle could probably win the best looking server award. I wonder if there is a Miss Norrath pageant I don’t know about. I haven’t played with that feature yet. I keep forgetting it is there. heh. I need to try to remember that tonight. My dirge doesn’t look too bad right now but that is just because I got 3 upgrades last night. Prior to those upgrades, he looked like a confetti bomb had exploded all over him. I agree wholeheartedly. I didn’t like the idea of the Appearance tab at first, since it felt artificial (as silly as that might sound talking about a world where wearing certain armor can make you healthier or smarter…) But it does mean that the game looks better now, as people are for the most part putting together matching armor sets that fit how they envision their characters looking. So, I think I’m sold, and I definitely hope all future MMOs separate the look of your character from the stats.